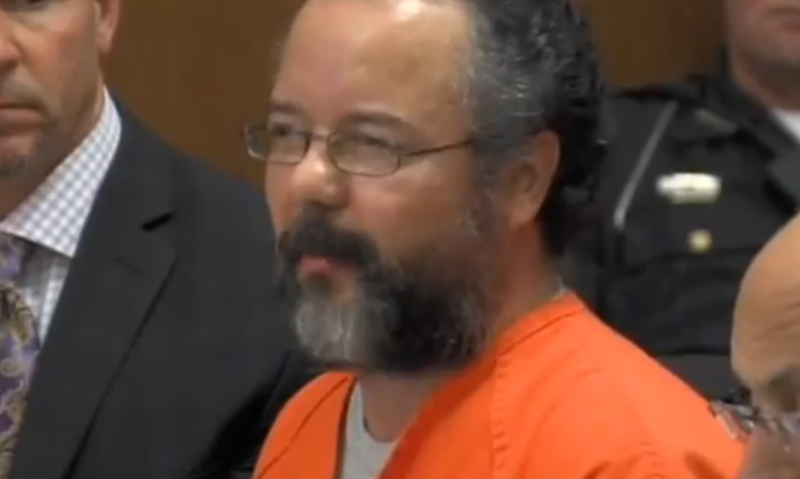 Today Ariel Castro was sentenced to life in prison plus 1000 years. In the above video this kidnapper of Amanda Berry, Georgina "Gina" DeJesus and Michelle Knight - exemplifies the nonverbal signal of the Rationalization Rapport Empathy Expression (aka R2E2) several times. One of the most noticeable of these is seen during the 0:41- 0:45 segment, as Castro says, " ... What I'm trying to get at these people are tryng to paint as a monster and I'm not a monster ..." Many who see this will confuse it with the emotional display of contempt - and often it can look like disgust as well. Although it does indeed resemble both - its meaning is radically different. The R2E2 is a nonverbal display seen during conversation when a speaker is attempting to rationalize, is seeking rapport and/or is trying to recruit the listener into co-rationalization (empathy recruitment, e.g. trying to get the listener to be a co-conspirator in their rationalization) of their idea, opinion, action, etc. This video shows many examples of R2E2. Ariel Castro wants the judge, the victims, their families and the public's empathy as well as them to co-rationalize with his pathology. We all display the R2E2 - not only psychopaths like Ariel Castro. This body language-facial expression is often is accompanied by faster and higher pitch speech. Forced (feigned) laughter is also commonly seen. Additionally a leaning forward and a touching or reaching towards those being spoken to is often seen. These additional paralanguage modifiers and nonverbal behaviors serve as amplifiers of the emotion at the source of the R2E2. Whenever you see the R2E2 nonverbal, it should raise a red flag. Ask yourself why another's psyche would not feel fully convinced of the words they're speaking - or why they believe you may not be fully convinced of their opinion, actions or plans. It can very well be a sign of either insincerity (particularly when used excessively) and/or they are trying too hard to sell you some thing or some idea. When you see the Rationalization Rapport Empathy Expression, be cautious.